Twelve hundred kilometers is the distance solar vehicles in the Cruiser class of the Bridgestone World Solar Challenge must be able to cover in one go this fall. 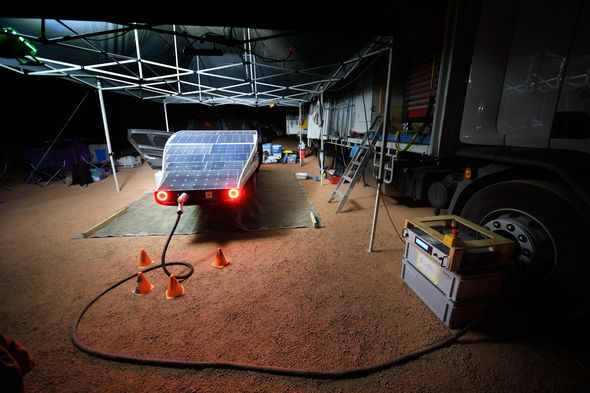 This new rule, which limits teams to recharging only twice between the start in Darwin and the finish in Adelaide, significantly impacts the design of its new solar family car, believes Solar Team Eindhoven. How the team is dealing with this question remains for the time being a secret. In keeping with tradition, the complete design, including the necessary new features which Sesink says the team are working on, is being kept under wraps until the car's presentation (expected in early July). But the public can expect some sneak previews of the car's exterior in the coming months promises the spokesperson. It is no secret that once again STE is building a family car that runs on solar energy, and is basing its design yet again on an aerodynamic droplet form. Nor, says Sesink, will the look of the new four-wheeler be out of place in the Eindhoven solar fleet, “but the car will include a number of major changes”. For the outside world, a question mark still hangs over whether the successor to Stella Vie will once again have five seats. It is at least known that in Australia the car may carry no more than four occupants - one of the other new rules of this year's World Solar Challenge. Sesink laughs mysteriously, “But that's not to say that we couldn't make a five-seater car”. The most striking change in the regulations is, however, the limit mentioned above on the recharging opportunities for the Cruiser teams. Participants set off from Darwin with a full battery and may then recharge only twice as they make their way to Adelaide. In the last edition, the team was allowed to recharge every night during the journey. “So now the longest leg we must to be able to cover this time round is twelve hundred kilometers - even in bad weather,” explains Sesink. Another major change is that the 'practicality score' as it is known (in other words, how practical is the car?) will yet again carry more weight, accounting this year for as much as half of the final ranking. And even though this has been an element for which the Eindhoven team has always been able to win the necessary points in the past, “you simply never know exactly what this year's jury will be looking for”. And besides, even though each and every previous team has been very successful, “that doesn't offer any guarantees,” Sesink is keen to emphasize. “Of course it gives us confidence, but we still have to work just as hard as the teams before us and all the other teams taking part. The bar has been set high.” As to whether team 2018-2019, after the succession of developments and performances that have gone before, can still surprise? Sesink laughs mysteriously again, “I think it can”. 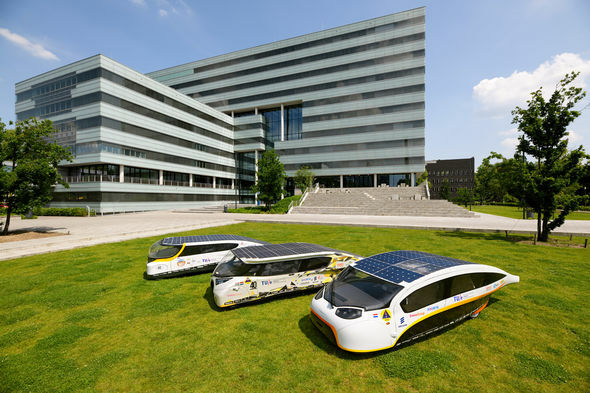 On March 1st Solar Team Eindhoven hopes to start on the production of its solar car, most of which will take place at Brainport Industries Campus, near Eindhoven Airport. “There we have a large hall, with a range of facilities, at our disposal where we can easily handle the large moulds we use to make the car.” But ultimately the planned new solar car will be assembled in the team's own workshop, in TU/e's Momentum building. With twenty-seven members, the team that started this past September is a little larger than the previous team. Hardly a luxury in view of the new WSC rules mentioned above and the challenges they pose, says Sesink. As the provisional participants list, released this week, reveals, a little over twenty other cruiser teams from across the world are currently getting their teeth into these same challenges. Whereas some competitors, according to Sesink, have set to work using previously built cars, once again the team from Eindhoven will be creating an entirely new car from scratch over the course of nine months. And, as ever, that can't be done without external support. Thus an online crowdfunding campaign has been launched, giving supporters the opportunity to sponsor parts of the auto (ranging in round 1 from a solar cell to the headlights); in addition, since its formation, the team has been engaged in talks with potential industry sponsors. Because despite all the name-building already achieved, “you have to start talking to possible partners afresh every time”.